It's finally November, and the wait is almost over! On November 10, you'll be able to upgrade to the next generation of SysAid with the official release of SysAid 6.5. Our SysAid Pathfinders have provided us with valuable feedback during the past few weeks, and their responses are overwhelmingly positive: SysAid 6.5 is a hit! For this month's newsletter, I was asked to pick my favorite SysAid 6.5 feature. As dozens of different possibilities immediately popped into mind, I was surprised by how hard it was for me to settle on one. I laughed when I saw my colleagues similarly struggle with the question. After a few moments of silence, they invariably responded, "Just one?" This not only reflects our pride in the new release; it also stems from the fact that with 101 new features, it's difficult to identify just one that makes SysAid 6.5 special. 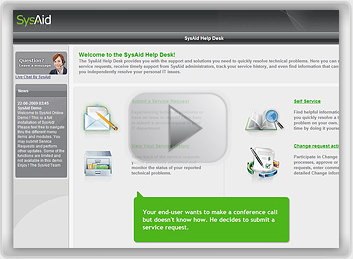 As for me, I consider the new SysAid Chat module a truly significant addition to SysAid's helpdesk capabilities. Its chat functionalities - specially designed for your dynamic IT environment - will transform the way you communicate with your end-users and dramatically improve your efficiency. With two brand-new modules, enhancements to nearly every functionality, and many features that you personally requested, there's definitely something for everyone in SysAid 6.5! To see how you can personally benefit from SysAid 6.5's new capabilities, join us on November 11 for a free online webinar, Introduction to SysAid 6.5. 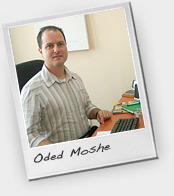 In this webinar, SysAid Director of Product Management Oded Moshe will give you a virtual tour of SysAid 6.5. With online demonstrations, real-life scenarios, and thorough explanations of the new features, this webinar is an important opportunity for you to see how SysAid 6.5 can improve your IT performance. As you wait for the official release of SysAid 6.5, I also invite you to learn more about the IT industry's first-ever benchmarking module, SysAid IT Benchmark. This extraordinary measurement tool - completely unique to SysAid - helps you analyze your IT activities and identify the specific factors that influence your performance. Beneficial for managers and admins alike, the IT Benchmark does the job no IT consultant ever could, simply because it's always up-to-date - automatically and free of charge in every edition of SysAid! This November, we're also offering the fifth round of the SysAid Certification Program. Providing an in-depth exploration of SysAid's internals and capabilities, this course will also show you how to maximize the new features of SysAid 6.5. Register now - space is limited! We're exactly one week away from the official release of SysAid 6.5, and I'm happy to say that the next generation of SysAid promises to be one full of feature-rich functionality and greater IT efficiency! Poll of the Month: Windows 7 - Where do you stand? When SysAid 6.5 is officially released on November 10, you'll find a brand-new module in every edition of SysAid: IT Benchmark. The IT Benchmark, the industry's first ever benchmarking tool, provides you with dynamic measurements that convert the raw data of your IT activities into meaningful statistics and ratios. 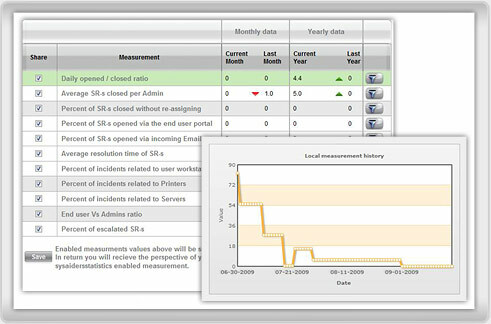 On a daily basis, the IT Benchmark calculates your IT statistics within four parameters: current month, last month, current year, last year. While each measurement can provide insight into an isolated component of your performance, none of your IT activities happen in a vacuum: one factor inevitably influences many other aspects of your organization. The true strength of the IT Benchmark lies in its ability to help you analyze the dynamic relationships between different measurements. Rather than just helping you set a singular goal, the IT Benchmark reveals the underlying factors that influence your IT performance. With automatic calculations of your ever-changing environment, the IT Benchmark is more-up-to-date on your department's activities than any IT consultant could ever be! Here are a few real-life scenarios that exemplify how IT Benchmark can help you see the bigger picture and make strategic business decisions. Should You Hire More Administrators? With the IT Benchmark, you've noticed that over the past few months, the daily opened/closed ratio has gone up: your admins are not closing as many service requests per day as they used to. You decide to investigate, and see that a few months ago, the end-user per admin ratio also jumped to a much higher figure. The company is expanding, and the IT department has not hired new administrators to account for the increase in end-users. You conclude that because your admins are receiving many more service requests than before, they can't close as high of a percentage as they used to. You can now decide which course of action you want to take - perhaps now would be a good time to add new members to your tech team? Give Your Staff the Credit They Deserve! As discussed above, the daily opened/closed ratio has gone up because the end-user per admin ratio has also gone up. With a more overwhelming workload, you would think that your admins can't respond as effectively to the number of service requests they receive. Surprisingly enough, the average number of service requests closed per admin has actually increased. What can you conclude from this? Even though your admins can't keep up with the sheer volume of service requests that are submitted, they are working harder than before - and their performance has actually improved. While the whole of your IT department is struggling to keep up with the increased number of end-users, your individual administrators are making a strong effort to rise to the challenge. You are concerned when you notice that over the past few months, the average service request resolution time has gone up. You then see that the percentage of service requests that were reassigned to multiple administrators has also increased. This makes sense: each service request that is passed from one administrator to another necessarily has a longer resolution time. You quickly pinpoint the cause: a few months ago, many new administrators joined your IT department, and when they don't have enough experience to resolve an issue, the service request is reassigned. This situation needs immediate attention: your IT department is not working most efficiently when multiple administrators are needed to resolve a single service request. You decide to provide your new employees with intensive training courses, and expect that in the next few months, the trends will fall back to acceptable levels. With the IT Benchmark, you notice a trend: the percentage of service requests submitted via the End-User Portal and via email have dropped, and your average resolution time is going up. You then realize that your admins are taking service requests by phone and in the hallways of your office, a habit that's consuming much of their valuable time. This is a less efficient way to provide technical support: phone calls take much longer than communication via SysAid. The solution is clear: you implement a strong SysAid Internal Campaign in your company to encourage both your admins and end-users to use SysAid. You know the campaign is successful when you see the percentage of service requests submitted via the End-User Portal skyrocket. Unsurprisingly, the average service request resolution time falls back to an acceptable level. As you use the IT Benchmark's different measurements for internal analysis of your IT activities, you can also refer to the Worldwide Distribution Chart to gain a greater perspective on your IT department's performance. For each measurement, this chart shows you how thousands of other SysAiders worldwide measure up. With a flag indicating the international average, you can see where your value falls within the statistical distribution. The Worldwide Distribution Chart simply allows you to compare your performance with other IT departments around the globe, and the results might surprise you. You knew before that your admins were quick to resolve service requests, but the Worldwide Distribution Chart might show you that they are in fact among the fastest of all organizations surveyed! Much more than a simple calculating instrument, the IT Benchmark provides insightful analysis into the complicated and interrelated dynamics of your IT department, and with its measurements, you can make informed business decisions to significantly improve your IT performance. On November 11, you'll have the exclusive opportunity to learn all about SysAid 6.5 in a free online webinar: Introduction to SysAid 6.5. This webinar, led by SysAid Director of Product Management Oded Moshe, will provide a comprehensive walk-through tour of SysAid 6.5's new features and capabilities. With thorough explanations of the features mentioned in the SysAid 6.5 Flash Presentation and the SysAid 6.5 Release Notes , this webinar will also show you how to maximize many other new features in SysAid 6.5. Choosing your favorite feature may not be quite the same as choosing your favorite child, but the SysAid team nevertheless squirmed a bit when asked to identify which new SysAid 6.5 feature they like best. The initial response was inevitably, "I can only choose one? There are so many!" Although each of the 101 features has something unique to offer, here's what the creative forces behind SysAid 6.5 have to say about a few exceptional highlights of our upcoming release. The new SysAid Chat module is unique, especially when you consider the fact that many other IT management products don't provide chat options for internal support. With SysAid, administrators can quickly get in touch with every end-user in their network and immediately resolve the end-user's issue. This is faster and much more effective than communicating via phone or email. SysAid Chat once again takes SysAid's trademark ease-of-use to an entirely new level. I really like the feature that provides automatic Knowledgebase suggestions in the End-User Portal. From a programming perspective, its AJAX functionality is quite simple, but it has such a tremendous effect on both end-users and admins. If an administrator dedicates just a bit of time to populating the End-User Knowledge, they'll be able to save so much time and effort in the long-run: end-users will be able to resolve many of technical issues on their own without having to submit a service request. I'm happy that the deployment tool is now available in the SysAid browser. Now, with only a username and password, you can schedule background and remote deployment throughout your entire network - all from within SysAid. It's such an added convenience to SysAid's functionality. The graphical facelift makes SysAid's interface more intuitive than ever. The design is more than a matter of aesthetics; it's about the rapid retrieval of information. With a more organized interface and clearer icons, you can easily access the functionalities you need without searching for them. The enhancements to SysAid's interface of course look attractive, but more importantly, they make SysAid even more user-friendly. I think that the IT Benchmark is an incredible tool. When you can compare yourself with other organizations worldwide, you gain valuable insight into how you're actually doing - in what ways you're succeeding, and how you can improve. I wish I had a tool like this to independently evaluate my own department's performance! The fact that SysAid is the first to ever develop such an IT benchmarking instrument makes me very proud. SysAid 6.5 offers an entire family of features that are extremely helpful on a day-to-day basis. You now have a monitoring tab inside every asset information page; you can now check multiple service request fields and update them simultaneously; you can quickly attach text templates to messages; in the main helpdesk list, only the table refreshes when you change the list's content -and that's just to name a few! These improvements add up to a much more efficient SysAid experience, and are incredible time-savers for your day-to-day IT tasks. To learn all about SysAid 6.5's new functionalities, register now for the free Introduction to SysAid 6.5 Webinar. Chances are you'll have a hard time choosing just one favorite feature, too! Best Practices in Your IT Department - Molto bene! 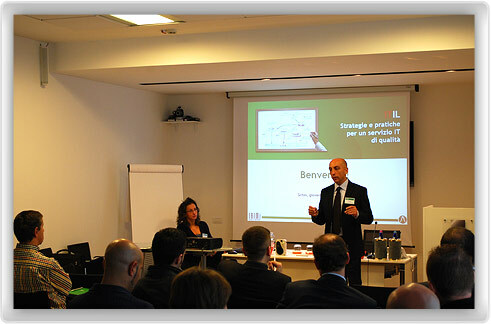 On October 22 2009, our Italian SysAid partner Irimi srl held a special conference, ITIL: Strategies and Practices for Quality IT Service, on the use and implementation of ITIL best practices. Meeting with SysAid customers near Venice, Italy, Irimi IT Manager Stefano Paoletto and SysAid's very own Director of Sales and Marketing Saar Bitner lectured on how to leverage ITIL best practices to improve IT performance. 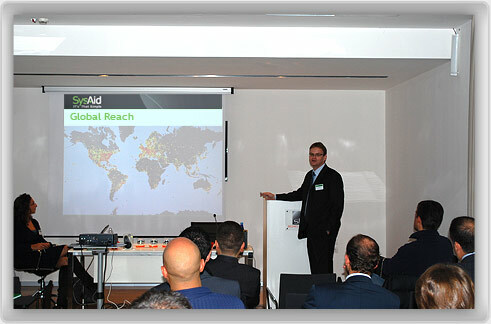 The successful conference left SysAid customers enthusiastic to maximize ITIL best practices in their own organizations. The conference also celebrated the new Italian forum on the SysAid Community - a place con tutte le soluzioni per il vostro IT dept! 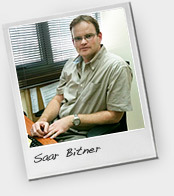 To see how you, too, can benefit from ITIL best practices, check out this month's SysAider of the Month story. The only thing traditional about Paul Bierman is his passion for a fresh-brewed cup of tea, a custom that perhaps only those in the UK can truly appreciate. As an IT visionary, Paul has built a support infrastructure from the ground-up at Barrachd, a leading Scottish-based IBM partner. Quick to recognize the benefits of a hosted SaaS solution, Paul has also embraced the rapid implementation of ITIL best practices. Paul's adaption to changing market demands has left him quick to push forth with innovations that other IT professionals still resist - a willingness that translates into success for Barrachd, Ltd.
Q. How did you first discover SysAid On-Demand? A. 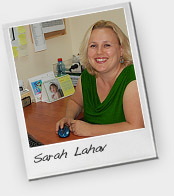 When I was looking for a new support application in my previous job, a business associate recommended SysAid. After working with the Trial Edition, it seemed to fulfill all our criteria, including the fact that we wanted a hosted product. Q. Why did you prefer a SaaS solution to a traditional on-premise product? A. We didn't want the hassle of buying and maintaining a server. Most of our administrators work remotely and all of our end-users are based throughout the UK, so simple remote access is essential. We need something that will guarantee a high level of service, and it gives us quite a bit of flexibility when there is uncertainty about our centralized location. SysAid On-Demand is quite reliable, and we've never had any service interruption. I'm confident that working with a SaaS solution is the right choice for us. SysAid On-Demand really works for us! Q. Before introducing SysAid to Barrachd, what support software was Barrachd using? A. Barrachd had no formal support system in place. When I came in, I was dealing with a green field site in terms of support provision. The guys at Barrachd were very receptive to the systems and processes I had introduced at my previous company, so they were happy to back the implementation of SysAid here. I started the new helpdesk system from scratch, and with my implementation of SysAid, I also introduced the SysAid ITIL Package. Q. 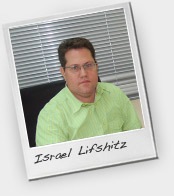 What motivated you to implement the SysAid ITIL Package? A. I took my ITIL Foundation exam last year and was keen to put what I had learned into practice. I needed to have something to help drive the support processes I was putting into place, and ITIL is essential to establishing better IT practices. I am looking forward to the official release of SysAid 6.5, as I see it involves end-users in the Change Request processes. I think end-user participation is vital for change management processes to work properly. Q. Why do you think being ITIL-savvy is so important? A. In the past, IT professionals used ITIL very little and no qualifications were required. I've noticed that since the recession began, companies have begun to take ITIL very seriously and are getting their staff on board. Employers have always wanted to hire people with the best qualifications, but as the job market gets leaner, they can afford to be even choosier. IT employers are now requiring that all potential job applicants be ITIL certified, something I never saw in the past. In hard economic times, organizations also want to save money, and they've realized that implementing standardized processes is essential for cutting costs and wise resource allocation. ITIL is ultimately a cost-effective choice for organizations, and that concern is a particularly relevant one right now. Q. As you know, we are about to officially release SysAid 6.5. What SysAid features and modules are you most excited to see? A. I am really looking forward to the SysAid Chat Module. All of our end-users are external customers scattered throughout the UK, so another communication channel is extremely important for us. I'm also excited about the improved user interface. Again, our customers are all located externally, so it benefits us when the support interface is attractive. We'll look more professional and give off a better impression - even though you guys did all the work! A. Probably the best tea-maker in the office. I ensure that there are always decent biscuits on-hand. You need a good quality biscuit to allow for incident-free dunking! Solti: "Upgrade itself was a charm, good list of improvements - congratulations, team!" 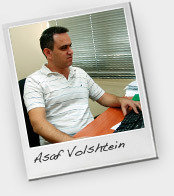 SysAid#1: "Thank you to everyone at SysAid Technologies. This looks great! SysAid is the best!" Scottinct: "My upgrade was smooth. IE 8.0 was more of an issue than my SysAid upgrade." EbroINC: "SysAid Chat - it's FREE! Thanks, guys... that's the spirit"
The feedback we've received about SysAid 6.5 Beta on the Community has been a driving force behind our preparation for the official release. Techguy, our dedicated SysAid Beta Forum Mod, said it best with: "It's great that so many people are posting here in the forum as it helps us get to the bottom of things quicker. Thanks for all your input!" This month's End-User Knowledgebase Tutorial shows you a new SysAid 6.5 feature that will save a tremendous amount of time for administrators and end-users alike. As an end-user begins typing in the title of service request, the Knowledgebase provides automatic pop-up suggestions that are relevant to the end-user's issue. With that information, end-users can quickly resolve their own issues without having to submit a service request. For administrators, this means a greatly reduced workload! To learn more about SysAid's other functionalities, check out the previous SysAid Flash Tutorials! To upgrade to any new release, you must make sure that you have a valid SysAid support and updates account. If you don't have an account, sign up for a support account now. If you have already registered for a support account but are not sure that it is still valid, try to log in to the SysAid helpdesk. 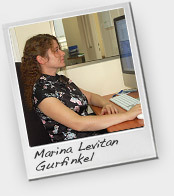 If you find that your account has expired, please contact our support team. This tip is important for SysAiders who want to customize specific HTML pages in the End-User Portal. In SysAid releases earlier than 5.0, if you wanted to customize the End-User Portal, you had to copy the entire HTML folder to a new location regardless of the specific file you wanted to customize. Since SysAid 5.0, you must save the specific files you want to customize in a new directory; for the files you do not edit, SysAid applies its default HTML. When upgrading to SysAid 6.5, make sure that you only have the files you wish to customize saved in the HTML customization directory. If your entire HTML folder is saved in the customization directory, the files will not be updated and you will not be able to see new functionalities of SysAid 6.5, including the entire SysAid Chat Module! To check if you have updated your HTML directory, look under Preferences --> Customize --> Appearance. Next to HTML Files Location, check to see if you have entered a path; if you have, look under the directory to make sure that only the files you wish to customize are saved there. Remove the ones you don't want to customize and restart your SysAid server. If your SysAid server is integrated with an external database like MSSQL, MySQL, or Oracle, be sure to double-check the permissions that apply to the administrator account that SysAid uses to connect to the database. The administrator must have permission to change the database schema. Please make sure to backup your database before the upgrade. If you are running an imbedded Derby Database, make sure your system has enough space before you begin the upgrade because the upgrade wizard will automatically back up your database. These simple steps will help you easily upgrade to SysAid 6.5 and immediately maximize its new modules and features. Have a fantastic month and enjoy 6.5! Windows 7 - Where Do You Stand? We at SysAid haven't been the only ones busy preparing for a major release - on October 22, Microsoft released the latest version of Windows, Windows 7. 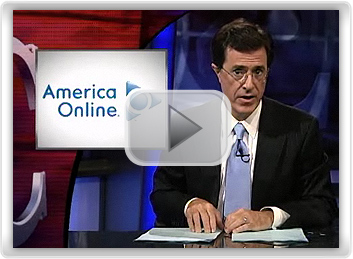 Bill Gates promised Newsweek that Windows 7 will be more "user-centric" and will focus on "performance improvements." Many SysAiders, especially those disappointed with Vista's performance, aren't so sure. SysAid Community discussion threads are full with concerns about this next version of Microsoft. Rene Rijk: "We'll stick to XP as long as possible. Vista is bad and Windows 7 is way too early to implement." Defector: "Microsoft has listed Windows 7 as a minor release. Makes me think they brought out a poorly functioning product, applied tons of patches, and TA-DA! We have Windows 7." Lev: "Vista didn't prove itself and there is no reason to upgrade." Other SysAiders take a more enthusiastic approach towards Windows 7 and have even enlisted as Beta testers. Dallen.heath: "I believe that a jump from Vista to 7 is going to happen. I love Vista and if you don't, you're not using it right." AtomicDon: "I'm currently using Windows 7 Beta on my machine, and it seems to run great on a gig of RAM and an older PC I was able to claim for testing purposes." Brian Martin: "I went from XP to Win 7 and the performance is as good or even better than the XP install I had on here before." Windows 7 - where do you stand? Click here to take our poll! What is your target level of availability? A whopping 91% of SysAiders strive for 99% availability and above, and 40% of SysAiders hold the elusive "four nines" or higher as a goal! Guaranteeing high levels of availability is no easy feat, and these numbers just go to show that when it comes to providing support - 24 hours a day, 7 days a week - SysAiders have an uncompromising commitment to excellence.